It’s no secret that networking is one of the most essential parts of becoming a successful filmmaker. 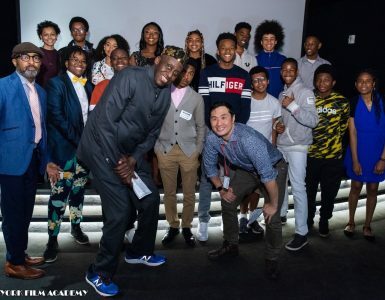 At the New York Film Academy, we encourage students to find like-minded individuals who want to collaborate and are truly passionate about their craft. After all, you can’t create a film entirely by yourself. It’s a team effort. 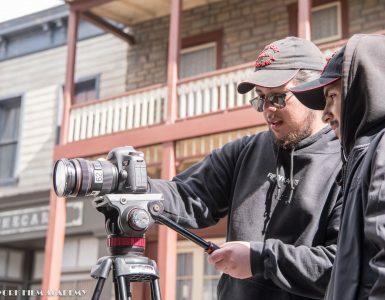 Recently, a team of NYFA students put their efforts together and filmed the feature film Waves. 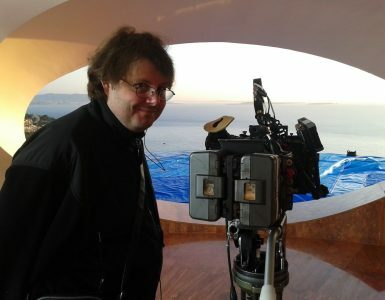 The film was written by Scott Acornley, directed by Don Frasco, edited by Adrian Morales Ramos, and produced by Anna Skrypka and Don Frasco, all of whom graduated from NYFA. The film, which will be Waverly Pictures first feature film, is about intimate friendship, love and heartbreak, revolving around two old friends who test their boundaries on a secluded island in the Philippines. Waves is now available on Vimeo on Demand, and will be theatrically released this June in the Philippines by the Distribution Company Viva. The team is also in the process of getting US and worldwide distribution. Frasco and Skrypka are currently working on a number of other projects, including a feature that they intend to shoot early 2016. Through the film, Frasco hopes to explore Cebu youth culture from the perspective of two fresh medical representatives tasked to introduce family planning products to rural towns. There will be a screening and Q&A with the filmmakers at NYFA Los Angeles on March 27th. Have a look at the trailer below, where you’ll also have the option of purchasing the film to view in its entirety. Congratulations to Degree Program Graduates at NYFA Los Angeles!